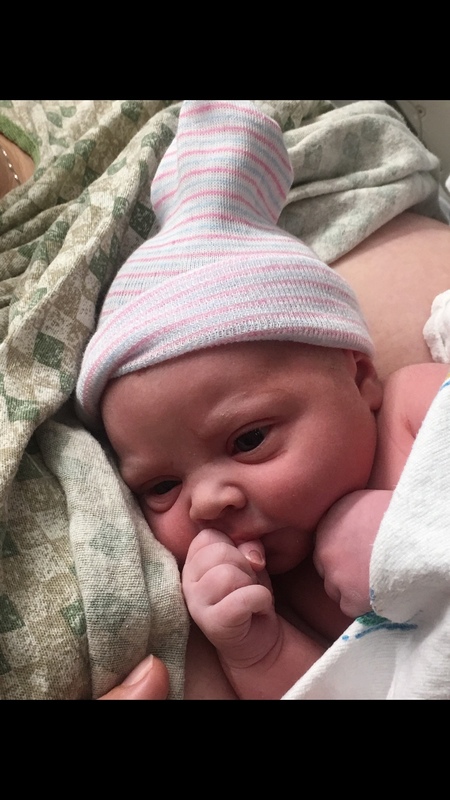 Brittni and Stephen welcomed their newest bundle of joy on Monday. Parker Catherine and I are middle name twins and I was so excited to meet her. Tim and I stayed the night on Brit's couch so I could be there to watch Emma and take her to meet her new sister! This little sleepyhead was excited to go meet her new sister! She gave Parker kisses and then side-eyed her a little bit. She was blissfully unaware that she is no longer an only child! I had the chance to hold Parker too- she's so sweet! Life is about to get crazy for this family! Then I got to hang out with this love for the rest of the day and we had a blast! However, I was exhausted by the end of the day!